Dubai: The operator of Dubai Parks has cut like-for-like full-year losses for 2018 to Dh1.001 million from Dh1.116 million a year ago. But on visitor numbers, there has been a steady improvement, with last year seeing the theme park pull in 2.78 million visitors as against 2.27 million in 2017. 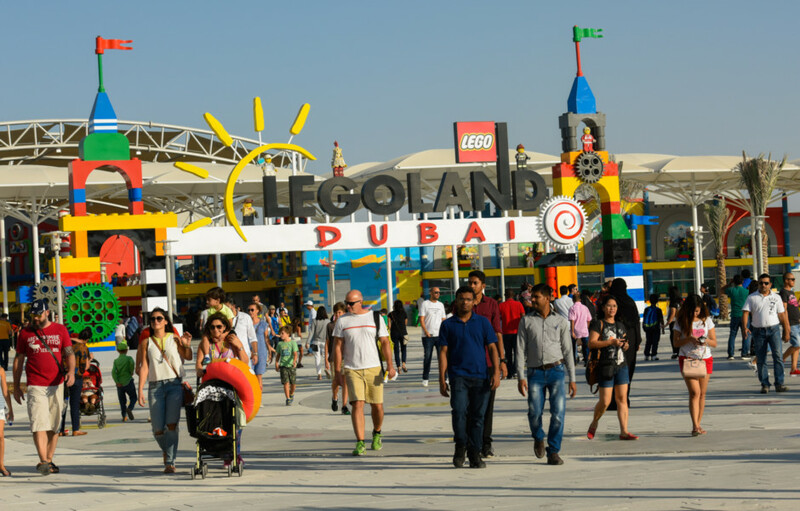 Of the 2018 visitors, 60 per cent were from within the UAE – the strategy now will be to attract more international visitors, the operating company said in a statement. This will be crucial to the company’s target of reaching breakeven in the second-half of next year. DXB Entertainments also managed to trim losses in its EBITDA (earnings before interest, tax, depreciation and amortisation) number for 2018, which showed a loss of Dh210 million and down from the Dh422 million loss recorded in 2017. The company also confirmed as per a revised expansion plan, it will look at the possibility of adding “world record rides” integrated into Motiongate Dubai and at Bollywood Parks. This is, however, subject to shareholder approval. “All of our phase one rides and attractions were in place from the start of the year and the Lapita Hotel continues to gain traction,” said Mohammad Almulla, CEO and Managing Director, DXB Entertainments. “We reported a 22 per cent increase in visits for the year, hotel occupancy reached 60 per cent, up from 35 per cent in the prior year, and we delivered a 50 per cent improvement in EBITDA loss. “I am also pleased to report that the strategy for targeting residents has been successful with 60 per cent of our guests originating from our home market. However, we need to build our international visitation, which delivers higher yields, and is crucial to delivering our target of EBITDA breakeven during the second-half of 2020. The company, in which real estate giant Meraas holds a majority stake, also took a non-cash impairment charge of Dh991 million related to the phase one development of Dubai Parks and Resorts. This was on top of the Dh551 million impairment that came about from a change of plans related to the Six Flags Dubai project. DXB Entertainments recently confirmed that the Six Flags has been put on freeze. “As part of the Six Flags Dubai project development, various costs were incurred, some of which were specific to the original development site and therefore are likely now irrecoverable,” the company said in a statement. “As the Six Flags Dubai Project is not proceeding in its current form at this time, a one-time charge of Dh551 million has been recognised in relation to such costs. For 2018, total revenues were Dh541 million and down 2 per cent from the Dh552 million a year ago. But when taken on a like-for-like basis and excluding a Dh22 million one-time project management revenue in 2017, revenues for 2018 were up 2 per cent. Of DXB Entertainments’ 2018 revenues of Dh541 million, Dh367 million were generated through the theme parks, Dh92 million through the Lapita hotel and allied services, Dh30 million through retail and Dh52 million from other revenue streams such as sponsorships.